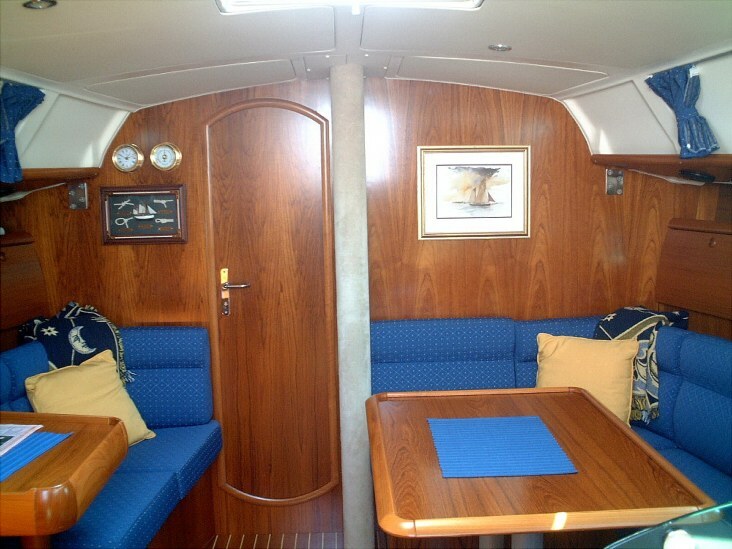 With 2 aft cabins, it is not easy to install thinking about the wiring. But it is great to have speakers located under the cockpit table. 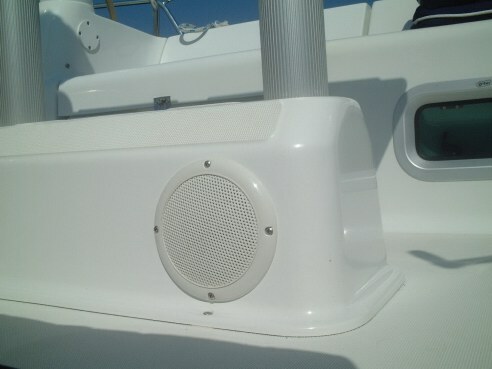 Cables are run between the deck and roof in the aft cabin. This previously wasted space, with the addition of a shelf becomes a very good place to store those things often needed quickly. 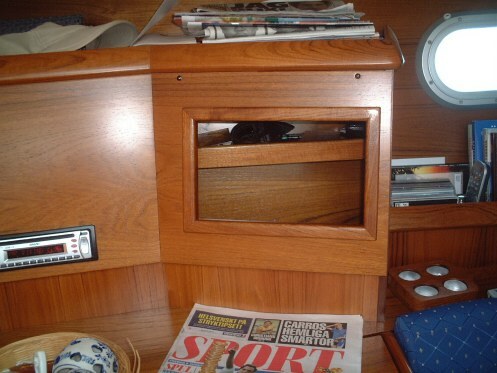 The Pulpit on many French boats is a disaster for us in the Nordic countries! 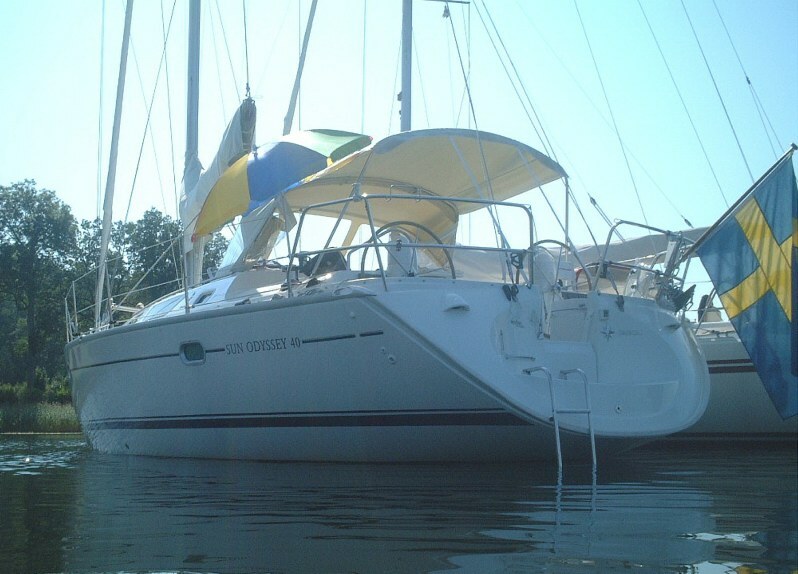 We have thousand of islands and would like to explore them or spend one or 2 nights there. I modified the standard one so that we can use it in a proper way when we approach an island. Many times we need a ladder. Naturally most of us here have one that we hook up at the front of the boat. 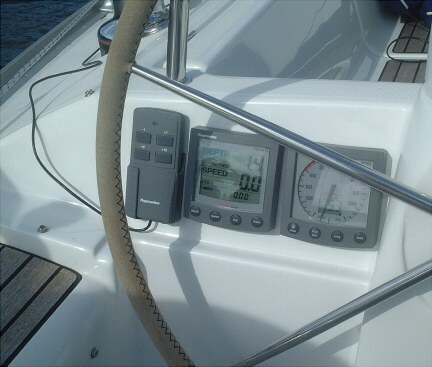 Now I can adjust the autopilot at the port wheel! When it is raining is nice to stay under the spray hood, just bring the remote control with you or even to lie on a sunny deck and still be able to steer. 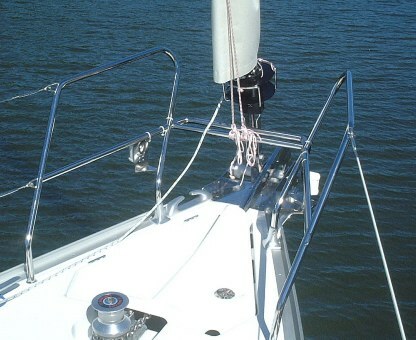 The chromed support for the mast is unattractive. I put on this removable elk skin cover, so now it both looks good and is nice to put your hand on. Nice to have when it is raining, or too much sun. 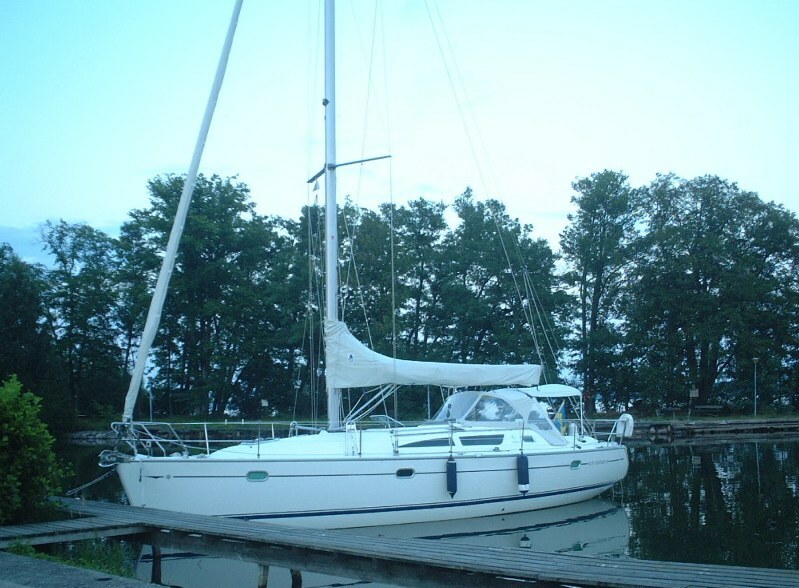 We use it when sailing, if needed! 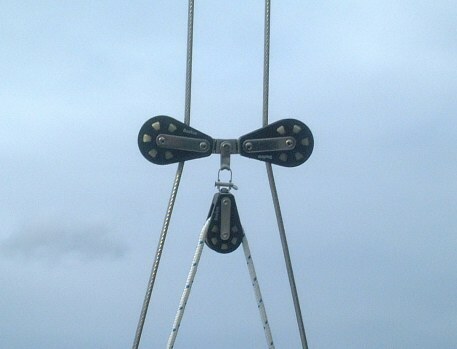 An easy way to get some of the sag out of the headstay. 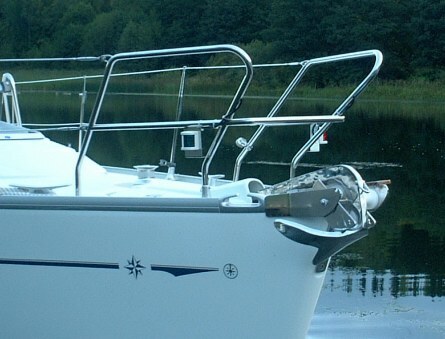 It is needed, so cannot understand that it is not standard when they deliver the boat! Next year I will probably have a better solution. 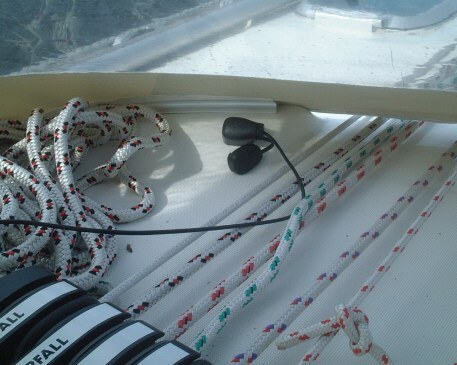 Also see details of my headsail self tacking system.